The National Institute of Standards and Technology (NIST) has awarded a five-year, up to $20 million grant to establish a Forensic Science Center of Excellence. Based at Iowa State University, it will include researchers from Carnegie Mellon University; the University of California, Irvine; and the University of Virginia. While Iowa State University will coordinate the activities of the center, major aspects of the research, education and training components of the work will be carried out at Carnegie Mellon. The new center, pending approval by the Iowa Board of Regents, will be the third NIST Center of Excellence and the only one focused on forensic sciences. Its primary goal will be to build a statistically sound and scientifically solid foundation under two branches of forensics: pattern evidence (including fingerprints and bullet marks) and digital evidence (including data from cell phones and computers). Alicia Carriquiry, an Iowa State statistician and Distinguished Professor in Liberal Arts and Sciences, will lead the center. In addition to Fienberg and Carriquiry, other leaders of the center are David Baldwin, director of the Midwest Forensics Research Center at Iowa State and adjunct associate professor of chemistry; Karen Kafadar, commonwealth professor and chair of statistics at Virginia; and Hal Stern, the Ted and Janice Smith Family Foundation Dean of the Donald Bren School of Information and Computer Sciences and professor of statistics at UC Irvine. Forensic science really is more complicated than the TV shows, Carriquiry said. 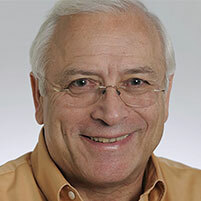 CMU's Stephen Fienberg (pictured above) is among the researchers who will lead the new Forensic Science Center of Excellence, which will be based at Iowa State University.